Learning2gether has been honing its streaming skills lately through practice with Minecraft + Discord and Bb Collaborate, but Episode 352 is the first time we have attempted something that used to be simple, streaming a HoA so that it would play as a YouTube/Live event. The audio was wonky until I went to a VPN, and there was no real agenda apart from just making it work, but the video here records stimulating conversation among participants, and the text transcript explains how it was set up and executed. 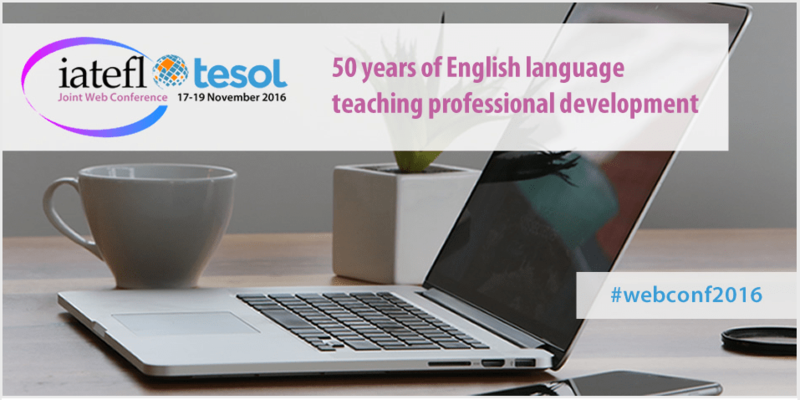 Near the bottom of this post, you’ll also find links to recordings made at the IATEFL / TESOL joint online conference held Earlier this Week. I’ve never done this before since Google+ dropped HoA, but today I invited EVO2017 moderators or anyone interested to help me figure out how to set up and stream a live Hangout on Air using http://youtube.com/live by configuring encoders to stream to a pre-set event. I streamed at https://youtu.be/7TsKynYDEa8 and used a text chat back channel at http://chatwing.com/vancestev in case the HoA filled with more than 10 participants, and to discuss delays or successes in setting up the stream. We’ll stream at https://youtu.be/7TsKynYDEa8 and use a text chat back channel at http://chatwing.com/vancestev in case the HoA fills with more than 10 participants, and to discuss delays or successes in setting up the stream. I can’t see how to do this with OBS (Open Broadcast Software) because the event I set in YouTube/Live did not require me to configure encoders (or maybe I didn’t see where I could configure them). However, XSplit encoder is set to my YouTube/Live account and knows I have an event scheduled, so I hope it will stream it. The next challenge is to start the HoA. There is a Go Live Now button on my YouTube page for Learning2gether event #352 so I’m hoping when I click that, the HoA will start and when I activate XSplit it will stream it. So what’s plan B? If I can’t get the HoA to stream through the event I scheduled as planned I should be able to start a HoA spontaneously and stream that. In that case I’ll have to communicate its new watch page here. Either way I should be able get folks here into a HoA starting half an hour from now, and stream it either through the event I set up here https://plus.google.com/u/0/events/ctjksbdotdbnt1skdklj8kcqmu8 (perfect outcome) or through another watch page I create on the fly. I’m here, do we have a link for the hoa yet? ok, it is not yet streaming. I’ll get that started. How does the link work for you? Following on my blog post from last week’s Episode 351, the EVO2017 moderator training final wrap-up, there are two video recordings on this page. is voice and whiteboard from the Bb Collaborate recording as rendered by the Elluminate Publish tool, which extracts video mp4, audio mp3, and text chat rtf from the link to the recording parked at Elluminate.com. Publish produces crisp video but without webcam or text chat enhancement. The other recording is from the stream made at YouTube/Live using XSplit recorders. I noticed on first viewing this video, and others have noticed during streaming with XSplit, that it starts out in focus and then becomes blurry just a minute or two into the stream, as well as in the recording. XSplit is a freemium product which I am using because I’m not able to get OBS (Open Broadcasting Software) to stream to EVENTS set up in YouTube/Live. Now that I’ve had more experience with the nature of the tools necessary, I will revisit that, perhaps this Sunday, in an experimental HoA. I can set an event and know that I can get it to work with XSplit, but try at first to connect OBS, in case I can see what I was doing wrong. At this moment, on reviewing the video recording, I don’t see this blurring. If I move my cursor through the unplayed frames, I see blurring in some distant frames, but this resolves itself in seconds as I hover over that frame. My suspicion initially was that XSplit was deliberately blurring the recording in order to push users into using the paid product, but now it appears that this might have been an artifact from the speed at which the video was processed onto YouTube. I’ll need to experiment further with both XSplit and OBS. Learning2gether is not a fee-based endeavor, so I try to rely on free tools to the extent possible. There are expenses associated with Learning2gether; e.g. the WordPress site where this blog is kept requires a modest annual payment. http://LearningTimes.org have long supported Webheads, from which L2g derives, with a grant allowing use of Bb Collaborate, which has been invaluable to us over the years. This week I continue to learn what I can about streaming, and the only way to do that is to practice and see what happens. This is one of my purposes in attempting this experiment. Sunday, November 13th, is day one of the seventh annual Global Education Conference. We are ready for a great opening day of sessions and keynotes! All recordings are here: http://www.globaleducationconference.com/page/2016recordings. If you need a certificate of participation, you must play our game developed with Chrome Warrior and provide evidence of your learning. Details are here: http://www.globaleducationconference.com/page/certificates-for-participants-and-presenters. December 31, 2016, is the deadline for participation. 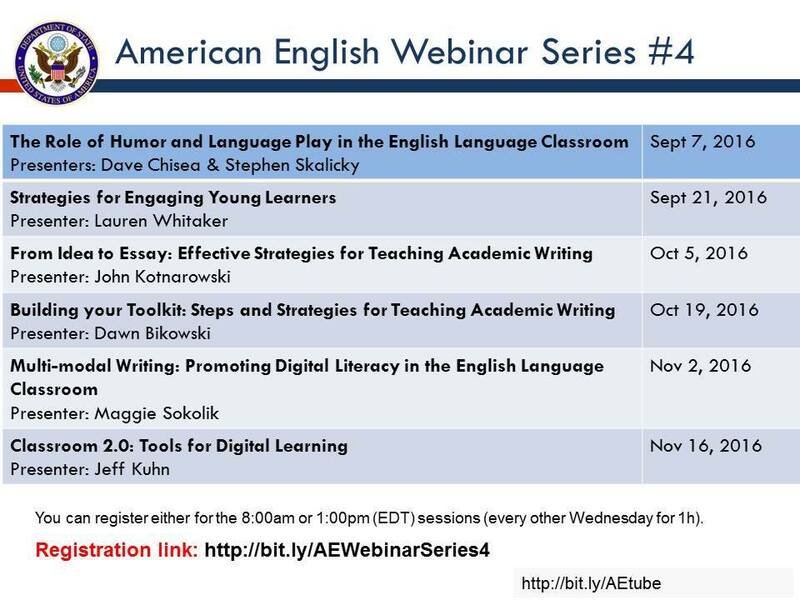 In this webinar, we will investigate terminology associated with digital learning, and we will consider how to evaluate and select tech tools for the EFL classroom. We will then explore several digital tools teachers can use to support students, deliver content, and create engaging activities in both face-to-face and distance learning contexts. New to digital learning? No problem! Our presenter will share ideas and tools appropriate for teachers with all levels of experience in English Language Teaching. Jeff Kuhn is a PhD candidate in the Educational Technology division of the Patton College of Education at Ohio University and instructor in the departments of both Linguistics and English. Jeff taught EFL in Japan and served in Peace Corps Mongolia as a teacher trainer before receiving his MA in Linguistics. He worked as a consultant on the U.S. Department of State’s Trace Effects, a video game for English language learners around the world. Jeff has presented on the use of games in the classroom at E-Tech Ohio, TESOL, and CALICO, His research interests include: Computer Assisted Language Learning (CALL), games and learning, second-language writing, and he is Batman in Minecraft. The varieties of English used by different groups and/or in different parts of the world (including varieties used among second language users), representing local varieties, such as Indian English or Singaporean English, many developed in geographies influenced by a former history of colonialism. A social construct of sense of self emerging through interaction, being shaped by experiences, contexts, and ideologies; cultural, political, and individual identities which they claim or which are assigned to them; a teacher’s own interpretation of how others see themselves and desirable ways to be seen by others. Panel Discussion on teacher identity: Who Do You Think You Are? A variety of digital and face-to-face professional development opportunities delivered by teachers associations, to meet the needs of the international English language professional. Professional development opportunities by teacher associations include, but are not limited to, practical workshops, up-to-date publications, and sound academic research. The conference will use Adobe Connect to host this event and places are limited. Attendance on the day will be on a first come, first serve basis. Check the website for specific scheduling information. Peekapak for Social Emotional LearningSocial emotional learning is an important component in all classrooms and we are very pleased to have Ami Shah, one of the co-developers of Peekapak, with us to share an exciting new program for young learners. Peekapak is a freemium website created to help teach social-emotional learning topics such as respect, empathy, teamwork, courage, and optimism. At Peekapak they know that student success – both in academics and in life – starts with social-emotional learning. They have created a program that is designed for Pre-K to Grade 3 teachers. Developed by education experts, Peekapak’s innovative curriculum combines teaching skills like gratitude, empathy and self-regulation with Common Core reading and writing standards through engaging stories and fun lessons to be used in the classroom and in the home. Peekapak is currently being used by teachers across the US and in 70 countries around the world and they are committed to helping children become successful, compassionate, caring, and empathetic citizens of the world! Peekapak was a Grand Prize Winner of the It’s a Start Competition and was also funded on Kickstarter, hitting their target in 5 days which is an indication that many people were interested in a program like this!Ami Shah has earned a MBA from INSEAD, and has gained extensive marketing experience through roles at Procter & Gamble, and most recently, as Director of Retail Marketing at a consumer products start-up. Ami is passionate about improving youth education, and has previously advised, volunteered and taught children at education-related non-profit organizations, schools and start-ups. She is a mentor at Founder Institute Toronto (a startup launch program for talented entrepreneurs.Remember to follow us on Twitter: #liveclass20More information and session details are at http://live.classroom20.com. If you’re new to the Classroom 2.0 LIVE! show you might want to spend a few minutes viewing the screencast on the homepage to learn how we use Blackboard Collaborate, and navigate the site. Each show begins at 12pm EST (Time Zone Conversion) and may be accessed in Blackboard Collaborate directly using the following Classroom 2.0 LIVE! link at http://tinyurl.com/cr20live. All webinars are closed captioned.On the Classroom 2.0 LIVE! site (http://live.classroom20.com) you’ll find the recordings and Livebinder from our recent “Hour of Code and Beyond” session with Sam Patterson. Click on the Archives and Resources tab.